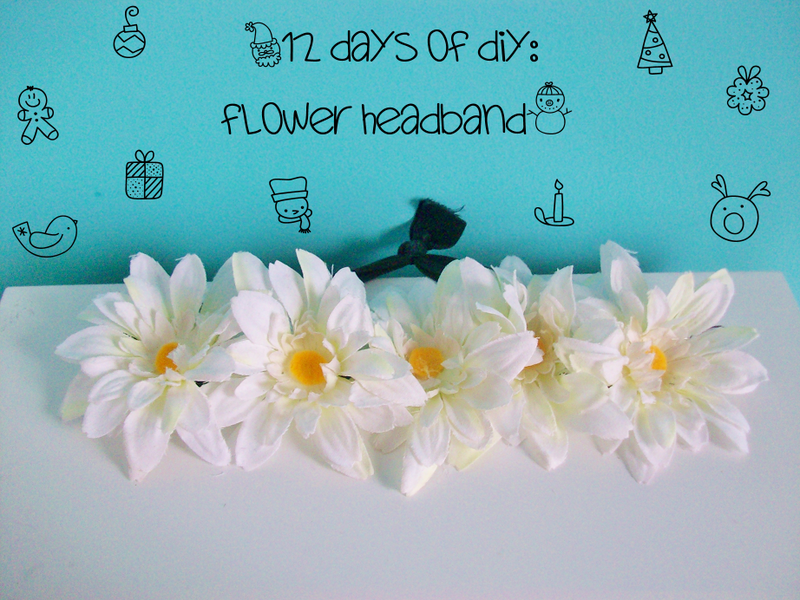 It is finally the last day of 12 days of DIY! I'm kind of sad but relieved at the same time (these posts were very stressful for me)! I saved one of the easiest DIY's for last (for all you late Christmas shoppers), all you need for this project is some fake flowers, a headband, and a hot glue gun. 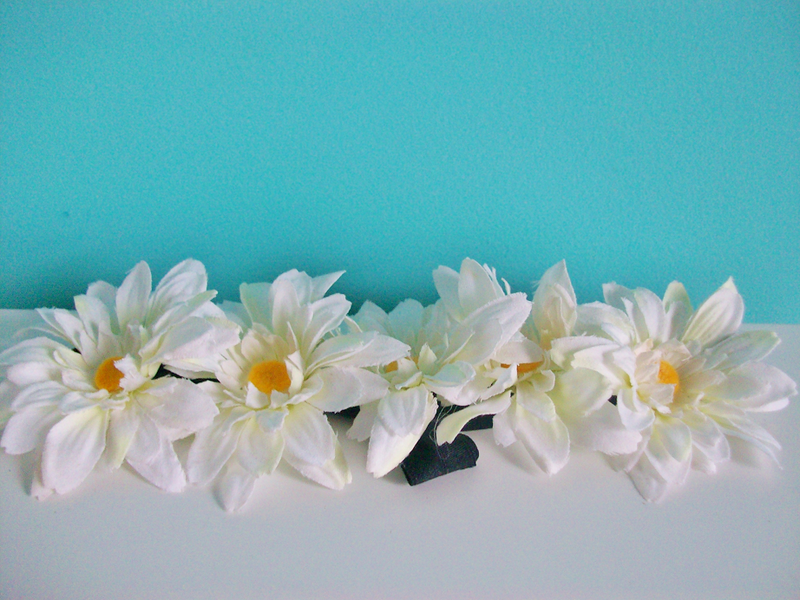 You can make some of these for you flower loving friends and put them in their stockings this Christmas! I hope you guys enjoyed all of the 12 DIY's I put together for you. I posted all of the 12 projects down below in case you missed one! 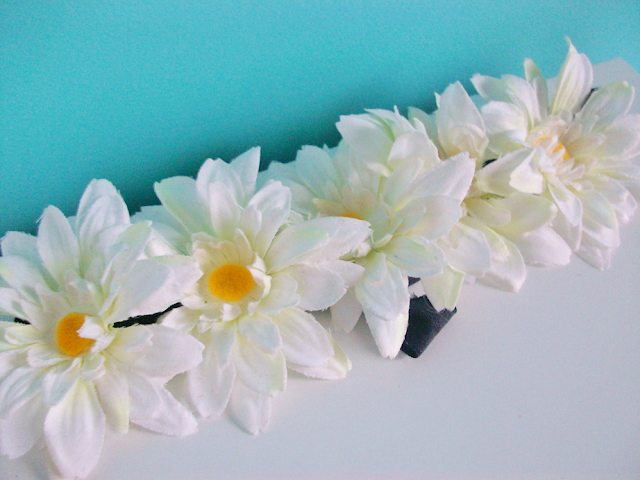 Take out all of the backing of the flowers until it can lay flat. Arrange the flowers on the headband to see how much space you need in between each flower. 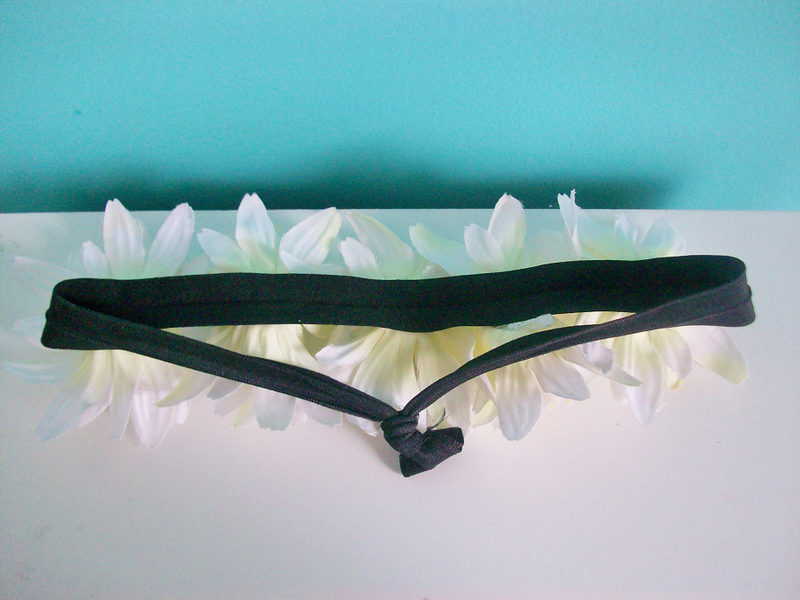 Once your happy with you design carefully hot glue the flower onto your headband, repeat until you have the desired amount of flowers on you headband (I put 5 flowers on mine). 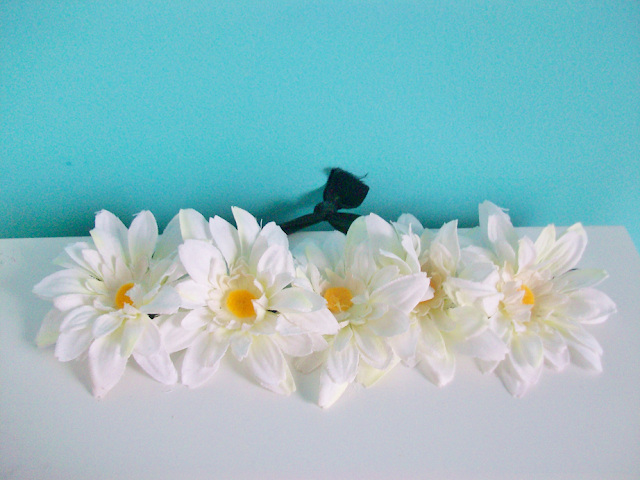 Cut out some small yellow felt circles and glue them in the middle of your flowers, I did this to my flowers because they all had a very visible circle in the middle so the felt covers it up. That's it now go out and rock your floral piece! Did you enjoy the 12 days of DIY? Which was your favorite DIY project?